Whether you’re watching scenes in a movie from the comfort of your living room couch or getting ready for lift off in the flesh, there is something exhilarating about being in an airport. On the big screen, it’s usually set in a fast-paced panoramic view of the main character sprinting across the airport, trying to catch a flight where the romantic interest is getting ready to be swept off their feet by a grand gesture. A more relatable scenario may be waiting to greet loved ones in airport arrivals or browsing for last-minute souvenirs at one of the many tourist shops during a long layover. Needless to say, airports exhibit a world that is more connected and accessible than ever before. These days airports are responsible for so much more than just transporting people from one destination to the next. Over the last two decades, the standards for airports have drastically changed. 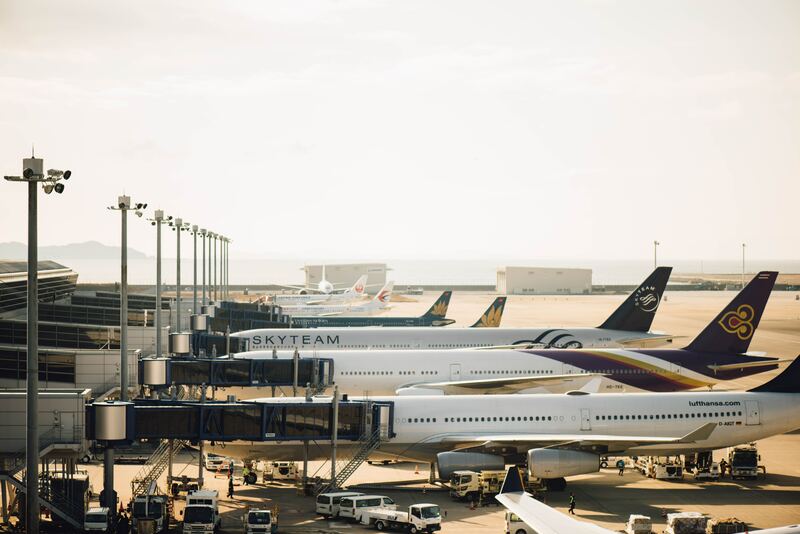 Airports have focused time, money, and efforts on servicing the best customer experience – and travelers are beginning to appreciate the finer details of their journey. Especially in this day and age, the ‘customer comes first’ mantra is a vital part of any modern business strategy. Just think about all that goes on inside of an airport. It is imperative for airport designs to take into account these high traffic patterns in order to ensure ease-of-access to the restaurants, cafes, boarding areas, shops, and restrooms. Passengers, along with their wheelchairs, strollers and luggage, expect airports to make the travel experience go as smoothly as possible. With such volumes of traffic around the clock, a durable and easy-to-manage flooring system is high on the priority list. Terrazzo is an intuitive choice for such demanding projects. Airport architects and designers are jumping on the terrazzo train (or should we say, airplane) – with airport construction and rebuilding on the rise in recent years. Take a gander at this impressive gallery of terrazzo floors used in an airport reconstruction project, installed by Klein & Co. You can browse through a collection of photos, displaying new and improved flooring inside the Louisville International Airport. 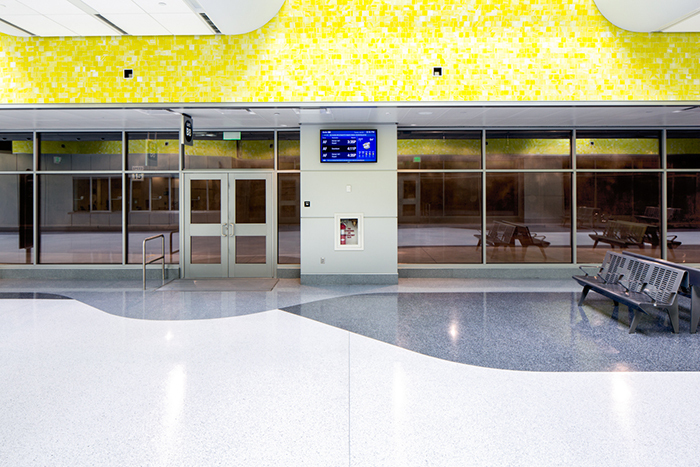 Here’s another from North Central Terrazzo Association – showcasing terrazzo floors inside Gerald R. Ford International Airport, Cleveland Hopkins International Airport, Lambert St. Louis International Airport, and Kalamazoo/Battle Creek International Airport. As you can see, terrazzo is well on its way to becoming the industry standard for airport design. Most public facilities do not come across the number of wheeled suitcases and trolleys as airports do – this is what sets airports apart from other forms of architecture. Airport floors pass through non-stop wear and tear seven days a week, 24 hours a day. Differing from its ‘competition’ (albeit, is it really a competition? ), terrazzo is highly sustainable and long-lasting. Tiles generate loud clatter from wheeled cases and require high maintenance from the damages caused by chipped tiles. Although carpet can help drown out the noise, it demands frequent and heavy cleaning which in turn, increase maintenance expenses. All terrazzo needs is a mop, a bucket of water, and any one of our floorcare products. 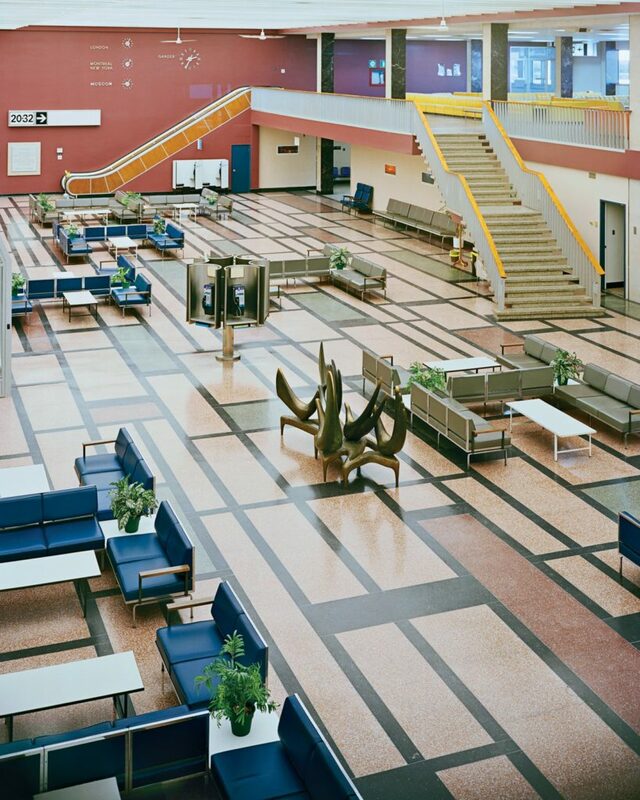 This is what makes terrazzo the best contender for airport flooring. You can also learn more about what makes terrazzo so sustainable by checking out this previous blog post from Klein & Co. If you are looking to install terrazzo flooring for your next high-traffic design project, then look no further! Klein & Co. representatives are waiting on the line, ready to assist you. Give us a call or fill out the form on our contact page and let’s get this ball rolling!